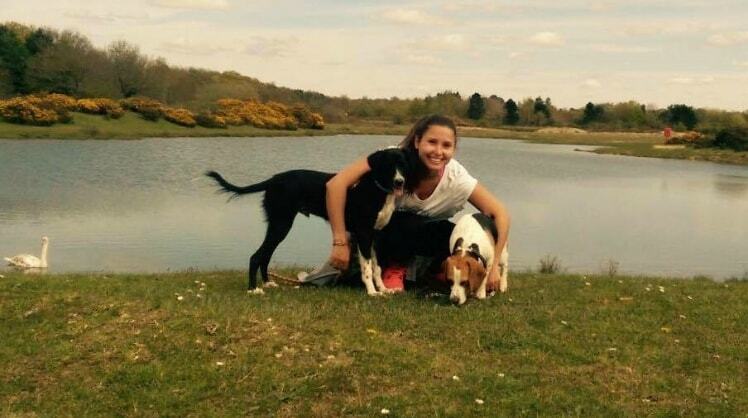 I am Portuguese, an absolute dog lover, living in the UK for 4 years and in London since last summer. I grew up around dogs all my life, I wouldn't imagine myself not being surrounded by them. When on holiday, never miss the chance to volunteer; as I did in Koh Lanta, Thailand; Portugal; India and also in the UK. Long story short, Biguelle and Alfie´s mum and dad split up last year, and mum moved to London. Sadly, the landlord does not accept dogs in the house, therefore they had to move to their dad´s house in Manchester. Mum misses them every single day since then!!! I work in a hotel, as a Guest Relations Manager, on a 4 days on 4 days off shift pattern. Luckly, this gives me the opportunity to look after your doggies while you are working or away enjoying some nice days off. !! THE BEST SITTER !! Susana looked after my puppy Pingu and my cat Dipsy for a week and she is incredibly awesome!! Susana has delivered a great communication with me through wtsapp, updated me everyday, which made me no worries. She took very good care of them and also awarded of their behaviour changed. To be honest, I have met many pet sitters and she is the best!! She even kept my place very clean to make sure Pingu and Dipsy had a good environment while I was not here. BIG THANKS, LOVE YOU SUSANA AND SEE YOU NEXT TIME!